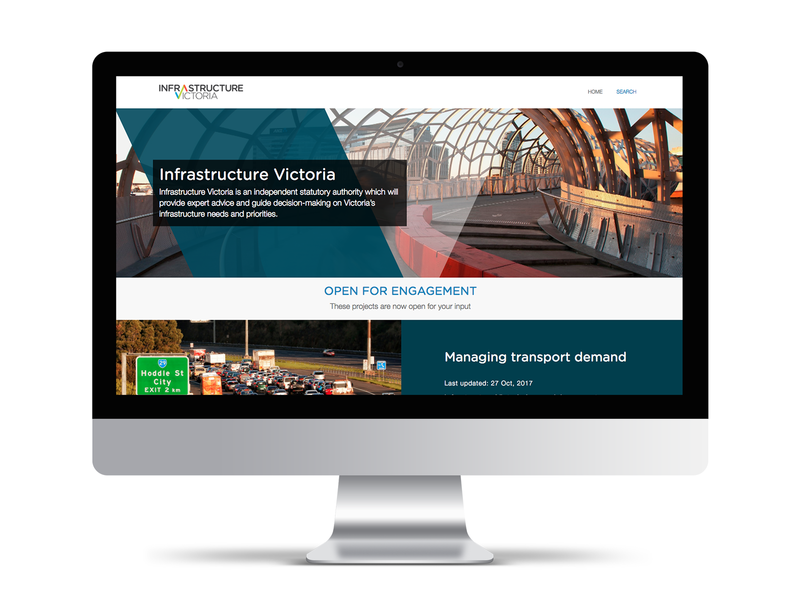 The 30-year Infrastructure Strategy was developed by Infrastructure Victoria, a recently established Government agency that is responsible for coordinating the delivery of infrastructure across Departments. 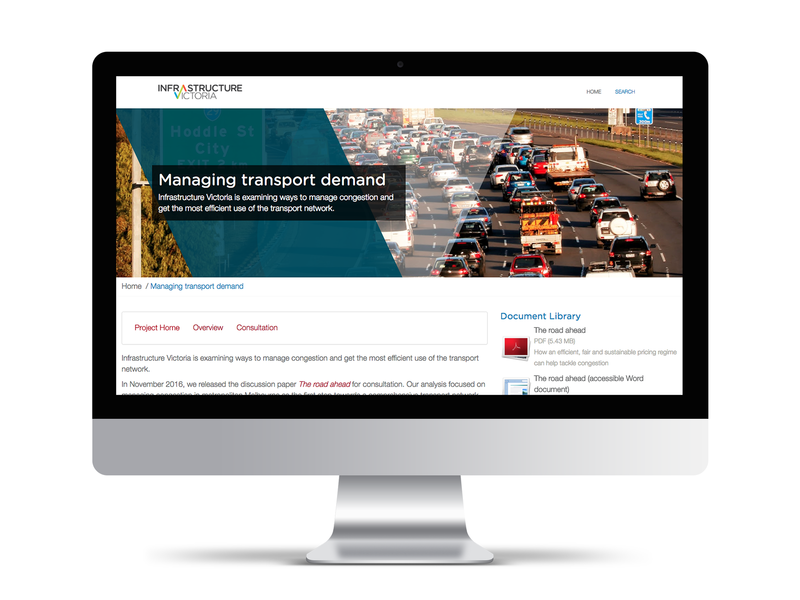 Harvest was engaged to support the consultation approach, creating a bespoke digital engagement platform that is used across all stages of the Project. Stage 1 of the project involved collecting ideas for the Strategy and hosting online conversations around key themes within the project. 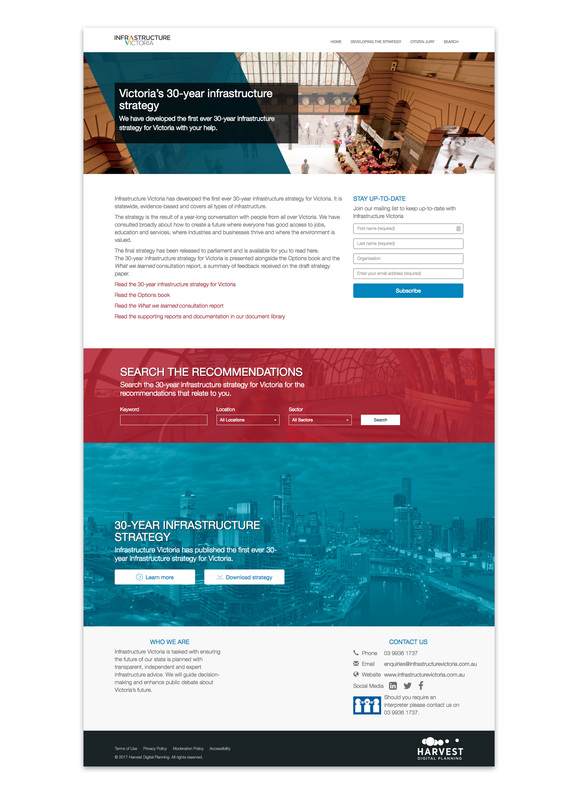 A custom Infrastructure Needs survey was created to allow users to select identify their views on what the priorities should be for the Strategy. Stage 2 of the platform facilitated a deliberative, citizen jury process where selected community representatives participated in the planning and decision-making process. A private consultation area of the site allowed jurors to log in, access materials, participate in discussions and track the outcomes of each jury session.